Yeah, it was announced a couple of weeks ago that the Switch version would launch in the fall. The VC1 discount with VC4 was probably a kind of an apology. So is there even a western time frame for it on Switch? 2018, just like PS4. Localisation can still take place, so the western version is bounded only by the Japanese release without having to add an arbitrary number of months for localisation. Aren’t Sushi Striker and Capt Toad coming soon-ish too? July 13th : Splatoon DLC ? Crash Bandicoot isn't dated for Japan and it would be suicide if it came out that week. Wait for next direct. It should release in the following weeks, probably August, just like with the PS4 version, I guess. 13/7 was a big week too for 3DS last year. In the UK at the moment the trilogy is #11 in the eShop charts and Ninja Storm 3 is #15, I was quite surprised to see that. As of last night the trilogy was at #2 in the us and Storm 3 is at #15. Maybe they'll do a physical run of the game this fall since it seems to be doing well. I want the trilogy but the file size is pretty massive for a digital only title. So 2DSwitch LL confirmed to launch on july 13? Original 3DS LL launched a year and a half after launch in July 2012 as well. Seems historically a big month for Nintendo handhelds. and it came with a hardware revision. Would be a nice time for a bundle. Maybe Splatoon 2 with the switch at the normal price. A good way to get people talking about the game and picking up the DLC. Switch SKU with new colors for Joy-Cons or white console is what has some chances to happen, if it happens. Price drop and redesign are too soon. The Japanese gaming market will still be the third-largest in the world in 2018 (behind the United States and China), growing +15.1% year on year to $19.2 billion. Due to the continued success of mobile gaming companies in Japan, we increased our estimate for Japan’s mobile games market for the second time in a year. This means its mobile games market is now nearly the same size as North America’s with roughly one-third of the number of gamers. In fact, Japanese gamers spend most of any country, particularly for mobile games. The average spend per payer in Japan is 1.5 times higher than in North America, and more than 2.5 times higher than in Western Europe. China alone will account for more than one-quarter of all global game revenues, reaching $37.9 billion this year. 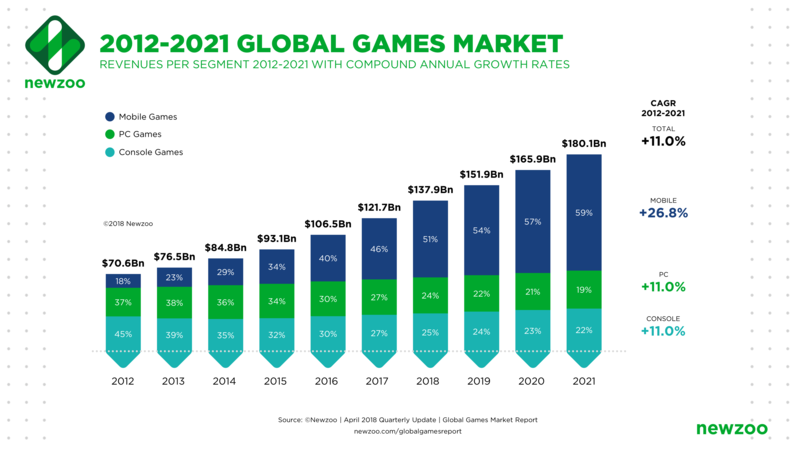 It will remain the number one gaming market by revenues and by number of players. Mobile is the dominant force and will generate 61% of revenues in 2018, growing to 70% of the market by 2021. 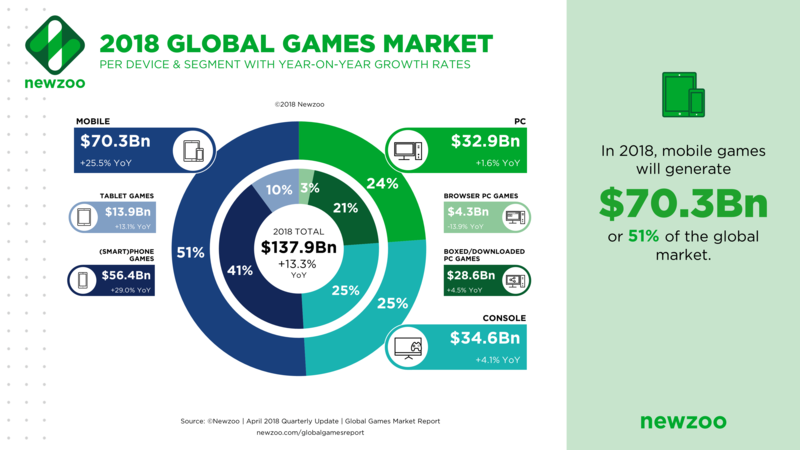 In total, the APAC territories will generate $71.4 billion, or 52% of total global game revenues. This represents a +17.0% year-on-year increase, nearly all of which is attributable to mobile; the segment will grow $9.7 billion year on year to $44.7 billion in 2018. 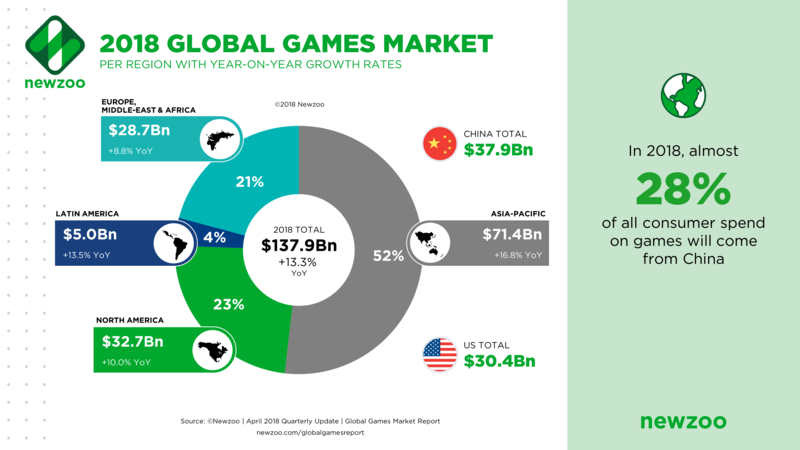 The APAC territories are a primary driver of continued growth for the global games industry, as the number of smartphone users in emerging markets such as India and Southeast Asia grows exponentially and, at the same time, the willingness to spend on mobile games grows in more established markets like China and Japan. In case anyone ever wondered why all these companies have been going hard trying to find a mobile success story. "In stock" USED / from third party sellers only. New ones from Amazon are sold out. Oh, just when I was about to compliment Nintendo for keeping up with demand around the post holiday. - Minecraft retail release ? 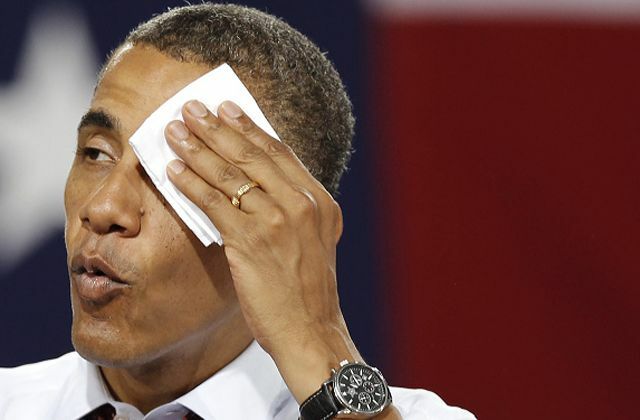 Last year Switch only had two third party games release in July (Cars 3 and Fate/Extella). How things change. No one wants to launch a title in August eh? Lelouch0612 I think you mean quarter 3. Any reason why August is usually slow? But, anyways, Nintendo Online details just came out. $20 for a year and 20 NES games at launch. Seems like a good deal, though I wonder how that’ll effect the likes of Splatoon 2. Hoping it’s cheap enough to incentive people to drop a $20 (or $3.99 a month?) to not have a big negative impact on it. maybe because of a huge popular fighting game. Looks REALLY neat. I bet this will be brought over by Natsume, reminds me of Animal Kingdom: Wildlife Expedition by Success that Natsume brought over on Wii. It also looks very... Namco-ish. Could we use yen in this thread? Japanese don't pay using dollars. It's 2400 yen a year. I can see it having a negative effect. Children who have been playing Splatoon for the past year are going to be confused when they go to play in September and it tells them they need to pay. Then they will have to ask their parents, and parents will say 'wwwwwww um, no, you already play too many video games'. Sorry, didn’t have the exact amount and didn’t want to give an incorrect amount. It will be quite interesting to see how this gels with younger/family audiences. I suspect they fear this possibility given how extremely 'generous' that family deal is compared to the normal package. Mid-August is Obon, one of the biggest holidays in Japan, so companies try to release everything by the end of July to exploit the holiday period. I doubt that the subscription fee will be a big hurdle for parents that were willing to spend at least 35k yen to begin with for a system and Splatoon 2. Also the price is so low that children would be able to save up the cash on their own just from their allowance or just ask for a year subscriptions as a Birthday/Holiday Gift from their parents or grandparents. We also know how popular the Famicom classics are in Japan.... Having access to that expanding library will probably be quite attractive for parents as well of they wanna give the system a try from time to time. cw_sasuke it depends on how easy it is to pay. Japanese in general aren't overly excited about putting their credit card information online, that is the people who have credit cards. Lots of people (myself included) pay many of our bills at the convenience store or direct withdrawal from out bank accounts. When the paid service launches in September 2018, you'll be able to purchase via Nintendo.com and Nintendo eShop on your Nintendo Switch system, and at select retailers. It looks like there will be prepaid cards or something. Yeah, I know there will be a prepaid card, we have prepaid cards for most services. Now getting people to buy them and remember to buy them again once the year is over. Are children actually playing online? Doesn’t seem so. Teenagers are, instead, and this group shouldn’t have problem in asking parents for online subscription. Then, young adults can pay the service for themselves. Paid online is a standard practice and people buy contents on mobile all the time. You better believe that children playing Splatoon are playing online. Children are typically below 12. I don’t have data backing this up, as demo data are rarely published, but I don’t believe there’s a big share of children playing Splatoon online. 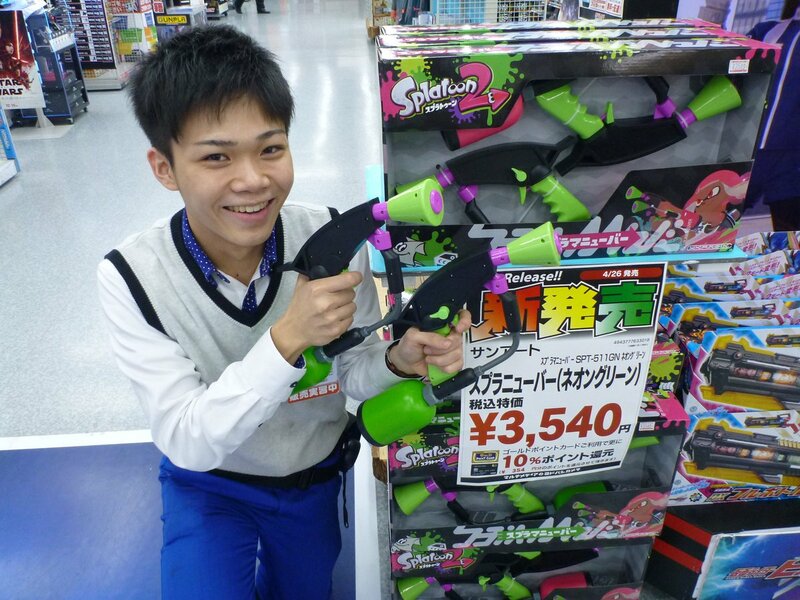 Splatoon doesn't have the most interesting campaign, and the campaign is not very long either. There is probably kids who never bothered with the online and gather together and play 4v4 or Salmon Run. If you can buy or have access to a Switch game you will likely also be able to get a subscript prepaid card or just use general eShop cards to pay the subscription fee. The payment method won't be an issue. I don't live in the US either so the usage of credit cards isn't the norm here either. I only use PayPal or eShop retail cards I get on a sale or cheaper online as part of a promotion. After Sumikko Gurashi last year year another Nippon Columbia game this year. 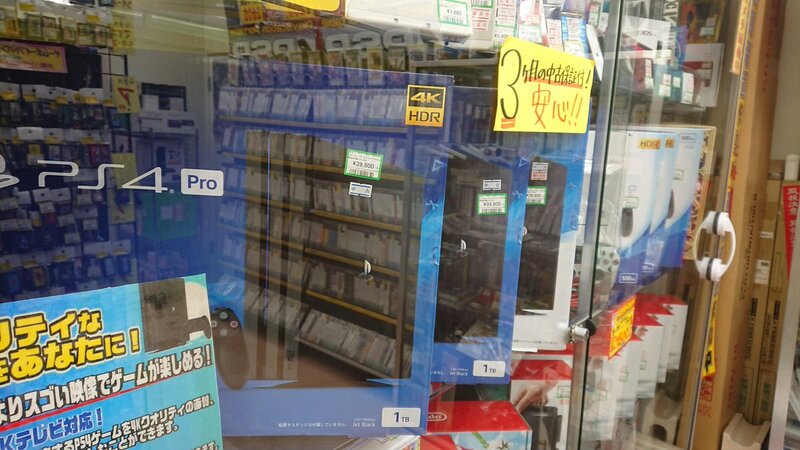 I'm surprised they can maintain that 4800 yen pricepoint they use for their 3DS games. A July release won't hurt this game, because Nippon Columbia's games traditionally have a very low sell-through FW and target young kids, who aren't likely to buy the dozen other games that'll be released in that month. Warriors Orochi 4 is releasing this year on PS4 & Switch. No Vita SKU this time. KT's Vita SKUs were very inferior anyway. I'm glad they've finally decided to increase their technical baseline. July has been the usual timeframe for Sumikko Gurashi games on 3DS, I'm more surprised that it's a different game / franchise. Nice that the price is low, it should help selling to its target audience i.e. families and young kids. I wonder if Sumikko Gurashi games will be released during Holidays from now on. And yes, they're usually long sellers...but freAKING JULY 26TH AGAIN?! ?